This would be the list of all the things you can’t live without. This could include some of those furniture pieces, appliances, TVs, computers and kitchen equipment that you use on a regular basis. If you’ve got rooms of furniture or even a guest room where no guests ever go then those would be items you can get rid of. Always think smaller. Don’t wait until the week before you move to start thinning out your discarded items. As soon as you know where you’ll be living, you’ll know just how much space you’ll have to work with. That will be the time to start clearing out the clutter. The goal is to take less with you to your new home not the same amount of stuff. The stuff you want to keep should be practical. Do you really need ten mixing bowls when you only ever use two? Do you need a dining room table that seats twelve when the most folks you ever have over for dinner is six? Depending on where you’re headed you might also be able to get rid of things like stepladders, lawn movers, gardening equipment and anything else you don’t need around the new home. This is especially true if you’re moving into a condo where all the outdoor maintenance will be take care of. As you prepare to get rid of all your discarded items you’ll find that Junk King will become your perfect partner. They’ll be able to provide the manpower and truck space you’ll need to get rid of any amount of downsized items. With Junk King on your side you’ll find that making the move is going to be a lot less stressful. That’s because with one removal appointment, Junk King will have everything taken away and you won’t have to lift a finger. Don’t put off a better way of living. 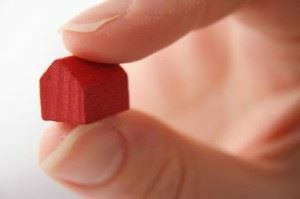 Think about downsizing today. When you’re ready, Junk King Raleigh will be standing by to help. This entry was posted in Junk King Raleigh, Raleigh Furniture Disposal, Raleigh Hauling, Raleigh Junk Hauling, Raleigh Junk Removal and tagged Hauling Raleigh, Home Downsizing Tips in Raleigh, Junk King Raleigh, Raleigh Junk Removal on January 18, 2013 by Britt Holcomb. Last updated August 1, 2017 .